Who Should Jeremy Pruitt Take to SEC Media Days? The 2018 SEC Media Days are nearly upon us. 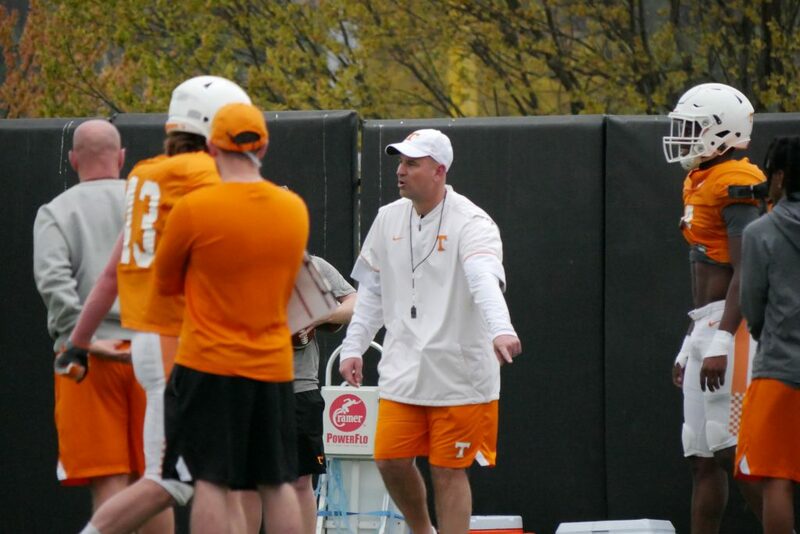 The first day of this year’s edition of the annual event starts on July 16th, and this year will mark the first time Tennessee is led by head coach Jeremy Pruitt at the event. This year also marks the first time in decades that media days won’t be in Alabama; this year’s event will be held at the College Football Hall of Fame in Atlanta, Georgia. Every year, every head coach of each SEC schools brings with him three players to help represent his university at media days. Last year, former head coach Butch Jones brought a trio of seniors with him. Offensive lineman Jashon Robertson, cornerback Emmanuel Moseley, and defensive tackle Kendal Vickers joined Jones in Alabama last year. With senior leadership at somewhat of a minimum for Tennessee’s 2018 squad, who will Pruitt decide to take with him to this year’s SEC Media Days? There’s very little in the way of upper classmen leadership returning on the offensive side of the ball for Tennessee this season, so the Vols’ trio of players will likely be defensive-heavy once again this year. And there are several likely options for Pruitt as he decides who to bring with him to Atlanta in just over a week. We take a look at the most likely candidates to join Jeremy Pruitt at SEC Media Days this year.